The goal is to fill the van full of donated supplies Saturday for PAWS and More. 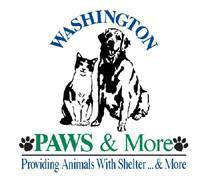 The local animal shelter is partnering with your Washington Hy-Vee for the fundraising effort. There are certain items the shelter needs at this time and Hy-Vee has marked down the prices on those products for Saturday’s event. Director of the shelter Amber Talbot says at this time they are in particular need for adult dry cat food. There will also be baked goods available for purchase to help raise funds. Earlier this week the shelter took in 13 dogs from one house in West Chester, and the routine medical costs alone are estimated at $1,500. The fundraiser to fill the PAWS and More van will run from 9 a.m. to 1 p.m. at your Washington Hy-Vee.